When The Hollywood Reporter recently revealed MGM is fast-tracking a Child’s Play reboot to be directed by Lars Klevberg (Polaroid) and produced by David Katzenberg and Seth Grahame-Smith (It) there were two names crucially missing from the story: Don Mancini and producer David Kirschner. Unlike most other 80s horror franchises, Child’s Play is unique in that its original creators have remained involved every step of the way. In fact, Mancini evolved from writing the films to directing them, most recently with last year’s Cult of Chucky. If MGM is pushing through a reboot, surely Mancini and Kirschner must be involved. Here’s the thing: MGM distributed the first movie in 1988, which is pretty much right before the studio fell into a twenty-year black hole of perpetual bankruptcy. 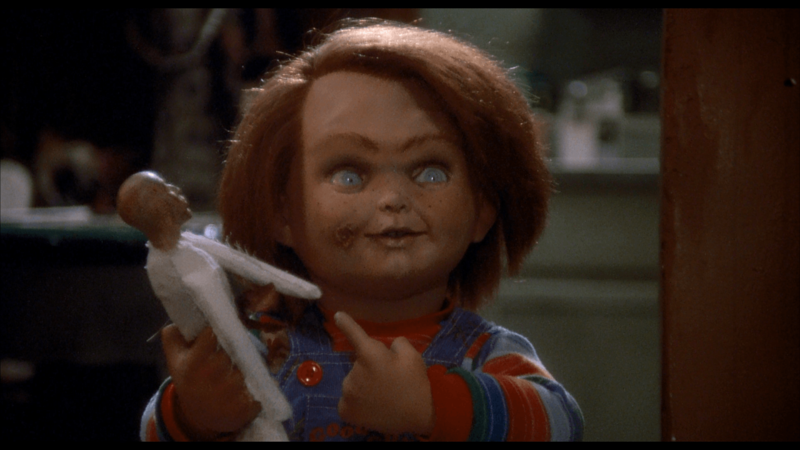 The rights to the franchise were sold to Universal in 1990, just in time for Child’s Play 2. All of the films since have been distributed by Universal. MGM has now somehow found a way to make their movie despite Universal’s competing ownership, with one possible reason being MGM likely still owns the remake rights. Their new Child’s Play, which is set to start filming in September, will reportedly feature a Chucky doll turning on a group of kids (because Stranger Things and It, obviously) after its built-in artificial intelligence goes full Ultron. Mancini and Kirschner have nothing to do with it even though MGM has repeatedly offered them ceremonial Executive Producer credits. Wait. I don’t get it. Why don’t they want to be involved with the remake? Oh, right. Before this MGM news came alone, Mancini and Kirschner had just formally announced their own plans to do a Child’s Play TV series, which is something they’ve been kicking around for years. The last thing they need right now is some competing company making a new movie using their title and central character. Furthermore, BD learned Brad Dourif will continue to voice Chucky in Mancini and Kirschner’s canonical TV series and/or movies. He will not, however, work on the MGM reboot. So, to recap: Universal remains committed to making further Child’s Play movies and even a TV series set in the same crazy little universe started back in 1988, and MGM’s forthcoming reboot has nothing to do with any of that. Their Chucky won’t even have the same voice. Short-Term Takeaway: The saga of orphaned franchise rights and competing projects is nothing new to film fans or the horror world. MGM’s Child’s Play is thus a familiar cash-grab to either be embraced or ignored, however fans see fit. Long after most would have moved on, Mancini and Kirschner successfully restored menace to Chucky in recent years, correcting for the rather overwhelming camp of 2004’s Seed of Chucky. Still, in moving to a direct-to-video model the franchise has now entered into a mode where the films are mostly just being made to please the core fans who get off on seeing an older Andy, multiple Chuckeys in one scene, and Fiona Dourif as the new final girl. MGM, however, is making a bid for mainstream appeal, chasing after that It money and Stranger Things cache and targeting an entirely new audience. It’s possible for the two approaches to co-exist and prosper, but damn is it needlessly messy and at risk of alienating core fans while simply confusing new ones. Bigger Picture: Can we stop to appreciate the complete improbability that 20 years after the release of the first Child’s Play this is still a franchise worth talking about or fighting over? It reminds me of when they were going to do a Buffy the Vampire Slayer without Joss Whedon, except the “they” in this situation, i.e. MGM, might actually go through with it despite the protestations from the franchise’s original creator. Next Entry The Check-In: How Are You Feeling About Netflix’s Original Movies Now?